Watch any NBA game these days and it seems like everybody is wearing compression pants. They come in black or white, long or short and some feature heavy padding. But, from Dwyane Wade to Kevin Durant and Steph Curry, almost everybody is rocking them! Should you follow the trend? 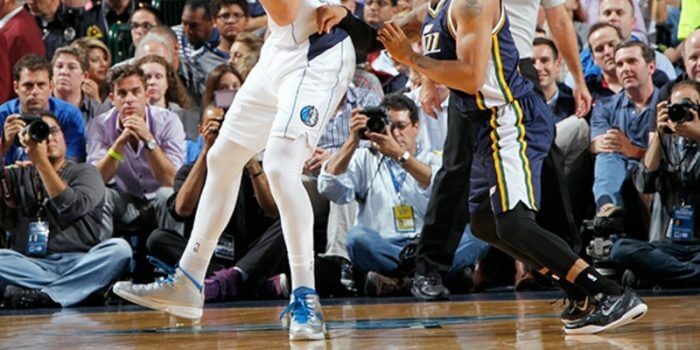 In this article, I want to explain why so many NBA players are wearing compression pants. I am also going to break down the different types of tights and show you my favorite compression pants I use for workouts or basketball games. Why should you wear compression pants? Athletes all over the world are wearing tights not just as a fashion statement (even though I am sure some do), but also because there are scientifically proven benefits of compression pants. Studies have shown that these tights are able to keep skin temperature constantly high, even when working out in cold surroundings. Another study has shown compression pants significantly accelerate recovery after intense training consisting of 100 drop jumps. 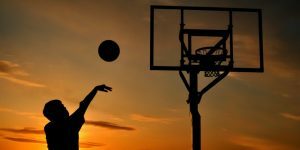 This quicker recovery is especially helpful if you are working on your vertical jump because quicker recovery also means better training results! For me, the biggest benefit is compression pants keep me warm during basketball practice when the gym is cold during winter. It used to take me forever to get properly warmed up in January, and after 10 minutes on the bench, I always felt as if I needed to start all over again with my warm up. Wearing compression pants has improved my muscle temperature a lot. I still prefer a hot gym in the summer, but my legs are feeling a lot looser than before. Picking the right size for the pants can be a bit tricky. You want them to be tight enough to offer a good amount of compression, but wide enough to remain comfortable without restricting your blood flow. Overall, I never had a problem picking the right size, I am 6 ft tall and have relatively wide thighs, but the size “L” fits me perfectly with all brands. I would advise picking your usual size unless the manufacturer specifically recommends otherwise. These come down to the shins and leave just enough space for high basketball socks. 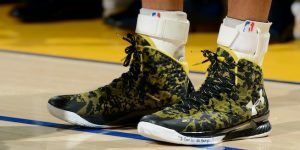 They are most commonly seen in the NBA, probably because they don’t bunch up at the shoes and they look much more fashionable. These come down all the way to the shoes and provide added warmth at the ankles. The added compression is negligible as the ankles are very thin compared to the neighboring calves. Most compression pants are made of a mix of polyester and elastane or spandex. The higher the amount of elastane (spandex), the stretchier the material. A common mix is around 90% polyester and 10% elastane. ​The materials also differ in thickness. For example, the Nike Pro Tights feature a really lightly-woven material allowing for good ventilation and cooling. On the other hand, the Nike Hyperwarm is made out of thicker, heavier material, which stores warmth much better. You also want to make sure the seams are stitched well. There is nothing worse than pants that rip easily at the seams. Budget option, designed to be worn as a baselayer. 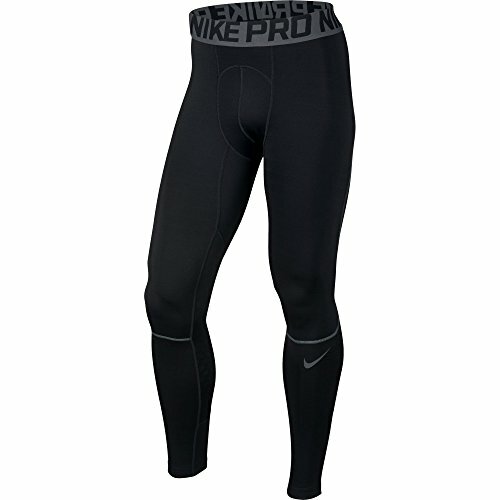 The Nike Pro compression pants are great in warm or hot conditions (perviously marketed as “Hypercool”). The material consists of 90% polyester and 10% spandex and is very flexible. The compression effect is comfortable and less pronounced than in other pants. The fabric is very lightly-woven. If you hold up the pants against the light, you can see a million little holes providing ventilation and sweat-wicking. If you are used to warming compression pants, you are in for a surprise when you wear these pants for the first time. As long as you are not in motion the experience isn’t much different. But, as soon as you start running, it feels as if you are playing with air conditioning on your legs. These pants really feel as if they are actively cooling your legs. 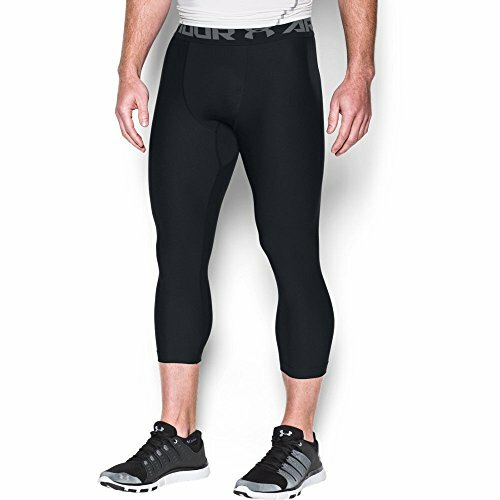 If you are looking for compression pants for playing basketball during the summer or in hot gyms, the Nike Pro Tights should be your first choice. If the Nike Pro pants work best in warm conditions, then these full-length Hyperwarms work best in – yep, you guessed it, cold conditions. The fabric is made of 88% polyester and 12% elastane, but it is heavier and woven tighter. There are no tiny holes in the material, so the Hyperwarms are much better at storing heat and the compression is stronger. These pants are also really comfortable, I never felt any itching, and after 5 minutes completely forget I was wearing compression pants. ​I personally love wearing these pants during cold January basketball practices or when I go for a run in the winter. They also work great during leg days in the gym. They are quite elastic, which means I was never afraid they might rip during deep squats. To sum it up in one sentence: If you like your legs warm and cozy, then the Nike Hyperwarm Compression Pants are for you! The slogan on the label of these pants is: “Heat Gear – keeps you cool.” Am I the only one who thinks these pants are named counterintuitively? These Under Armour pants are designed to keep you cool, which is observable from the light and thin material. 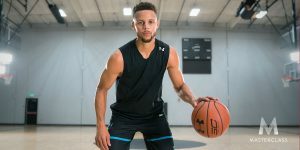 Compared to the Nike Hypercool, however, the fabric of the Under Armour pants is woven more tightly without the tiny holes that are responsible for the amazing ventilation of the Nike Pro. Compression is comfortable and on par with the Nike Hypercool​. Overall these pants are a great choice if you are looking for an affordable option you can wear all year long. I also bought a pair of Tesla Gear’s compression pants because I wanted to see if they are a sensible choice (they cost less) and whether they can compete with the big players like Nike and Under Armour. The fabric of these pants feels very thin and light and the compression is rather weak. For me, the Tesla compression pants ran a bit small and the waistband was almost uncomfortably tight. I would consider ordering these one size up. Overall, I was not terribly impressed by these pants, but if you are on a tight budget and you want pants you can wear as a base layer to keep you warm in winter, these are a good option. 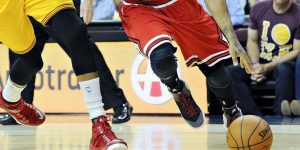 If you are playing basketball like a young Derrick Rose, always attacking the rim and looking for contact, then padded compression pants will make a huge difference. The additional protection will not only minimize the effect of collisions but also significantly boost your confidence when driving to the hoop. 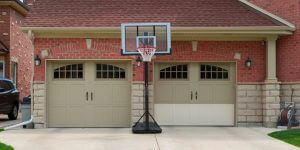 I know basketball players that won’t play in a real game unless they are wearing one of these! I also like the improved durability of the TEFLX material which was specifically designed to survive scuffs and skids on the hardwood floor. Nobody likes floor burns – but they are even more annoying when you just destroyed your new compression pants! If you are looking to combine the compression effect of tights with the protection of knee pads, then the McDavid 748X is tailormade for you! If you are looking for compression pants to keep you warm and offer tight compression, I would recommend the Nike Hyperwarm. Don’t want to do without compression pants in the summer? Then go for the Nike Hypercool; the ventilation system of these pants is truly amazing. 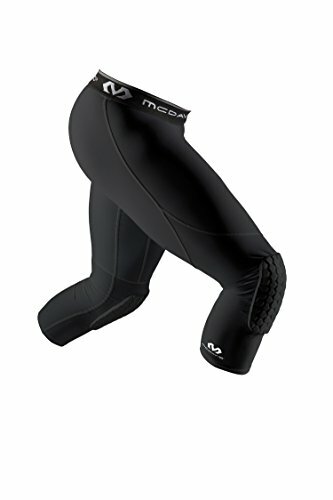 If you are an aggressive basketball player and you are looking for additional protection, check out the McDavid 748X Padded Compression pants. 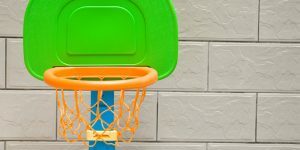 Best Portable Basketball Hoop – Lifetime, Spalding or Silverback?